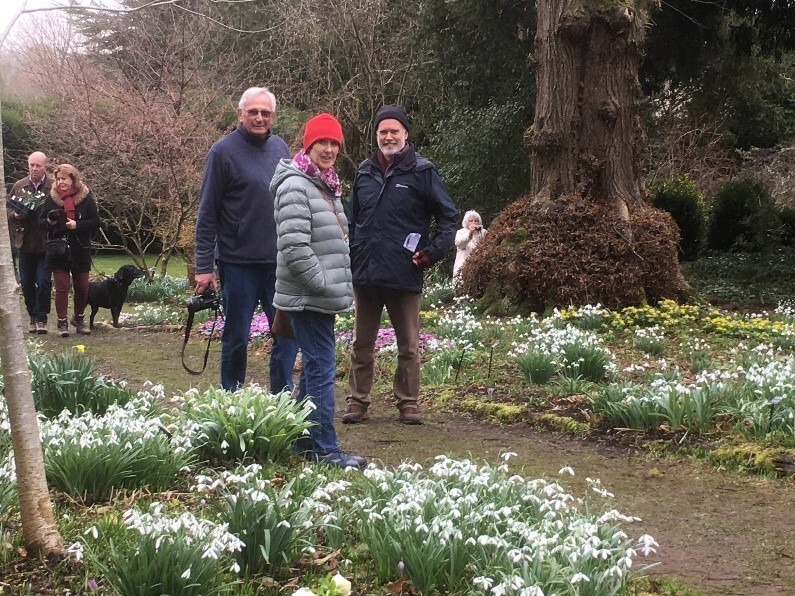 Robin Bletsoe, Jo Dyke and Gareth Stanfield enjoying the Snowdrops and head for tea! Colesbourne Park. Copyright Alan Stuttard, 2019.